Fueled is proud to announce the global launch of Fueled Collective —the first installation of an innovative coworking and lifestyle franchise. Debuting in Cincinnati, Ohio, plans are in place to rapidly expand across the country. Coworking spaces are becoming increasingly common incubators of budding entrepreneurs and startups in coastal cities. But the award-winning New York-based app development agency, Fueled, is leading an effort to democratize high-end coworking beyond the NYC/LA bubble, into America’s heartland. Fueled operates the Fueled Collective in NYC, a shared office space that became the conceptual jumping-off point for Fueled Collective, an exciting new franchise of coworking spaces. 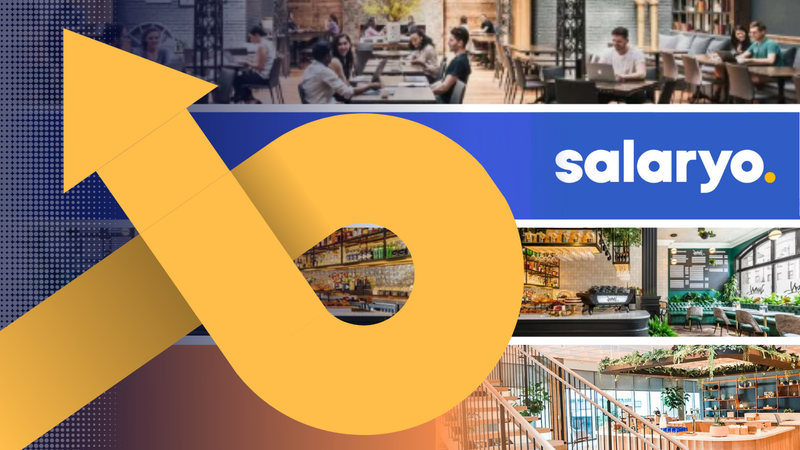 Fueled teamed up with Cincinnati’s St. Gregory Development Group, renowned for expanding the Cyclebar franchise, to conceive and launch the chain of coworking venues: ones that blend work with a social lifestyle experience in a highly polished setting. On February 1st in Cincinnati, Fueled Collective opened its first location as a newly-formed chain. The Fueled Collective in Cincinnati is an ideal space for innovators to work, socialize, and grow their businesses. Spanning two floors and 25,000 square feet, the Collective is able to accommodate a wide variety of creative ventures. What distinguishes Fueled Collective from other coworking operations is its fundamental emphasis on “work meets play”: A membership not only provides access to private offices and conference rooms, but also to the space’s full-service bars, social lounges, and boutique fitness classes. These perks are included because Fueled Collective aims to foster a genuine sense of camaraderie among creatives— the same vision that inspired the launch of the flagship Fueled Collective in New York City five years ago. In 2012, Rameet Chawla, founder of Fueled, expanded on the success of his app development company by creating the Fueled Collective in SoHo, Manhattan. The SoHo Collective is not only home to Fueled’s New York office, but houses over 30 of the city’s most disruptive startups. After its launch, it quickly gained recognition as “Manhattan’s coolest place to work” and was featured in Business Insider, Forbes, and The New York Times. 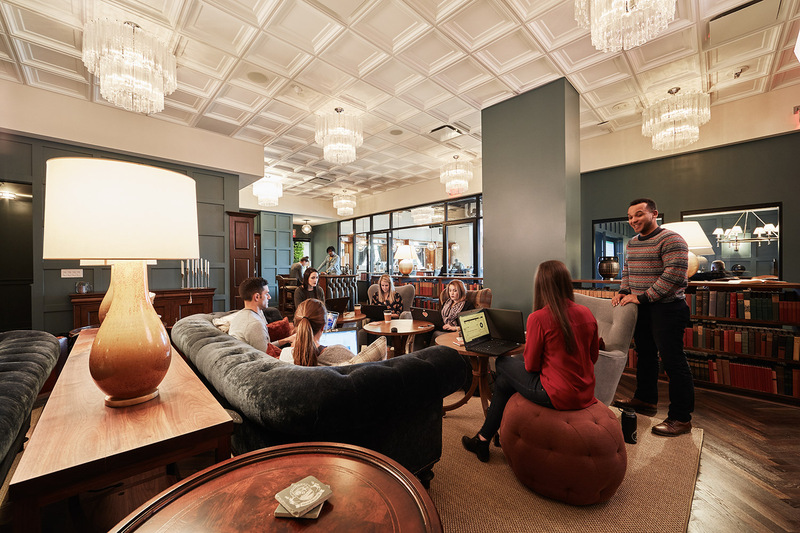 Dark wood accents and cushy leather couches give the Collective a distinct aesthetic that balances vintage comfort with modern energy: all nine conference rooms are adorned with exposed bulbs, mason jars, and whiskey bottles. The space comes with a plethora of amenities for the fun-loving folk who work there, such as a ping pong table, a popcorn machine, an ice cream cart, happy hours, and team lunches catered by Lower Manhattan’s trendiest restaurants. After over five years of operating the Fueled Collective and housing a variety of successful ventures, Chawla sought an opportunity to make the Collective’s unique style of coworking available to entrepreneurs across the country. 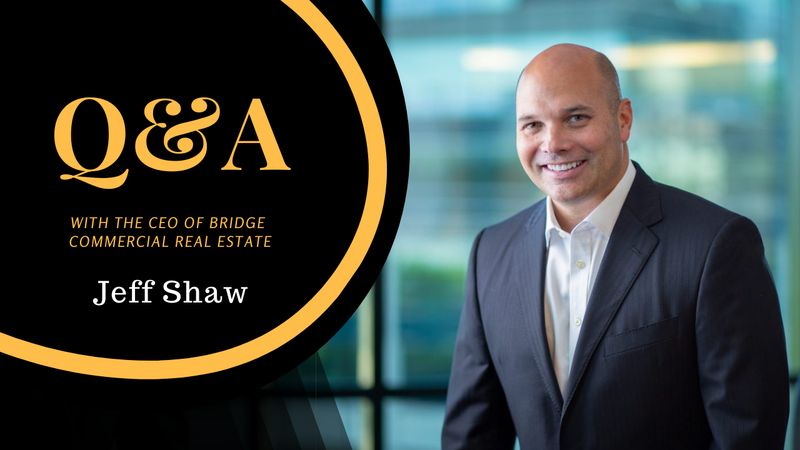 “While coworking operations have been prevalent in New York, LA, and Silicon Valley for years, we wanted to engage this opportunity for them to grow beyond just the coasts” explains Chawla. “To appeal to the growing number of businesses in the heartland, we designed the Cincinnati Collective to strike a balance between sophistication and comfort.” With the SoHo location as its aesthetic inspiration, the Cincinnati Collective boasts similar antique embellishments to give it the sophisticated-yet-relaxed vibe Chawla envisioned. The launch of Fueled Collective brings with it a huge opportunity for entrepreneurs and innovators across America to expand their businesses, as well as establish valuable social and professional networks. Visit the Fueled Collective in Cincinnati Rookwood Exchange at 3845 Edwards Road to see what all the hype is about.